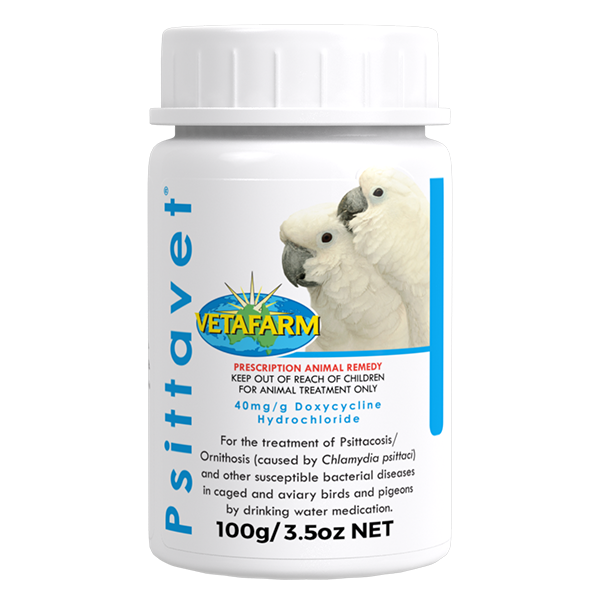 Water soluble powder for the treatment of psittacosis/ornithosis (caused by Chlamydophila psittaci) and other susceptible bacterial diseases from drinking-water medication. Caged and aviary birds including pigeons. RESTRAINTS: NOT TO BE USED for birds producing meat or eggs for human consumption. Enclosed level spoon holds approximately 4g. Administration for Chlamydia infections: Treat birds for 45 days. Remove all other drinking water supply and change medicated water daily. For other susceptible infections: Treat birds for 7-10 days. Change water daily. WITHOLDING PERIOD: NOT TO BE USED for birds producing meat or eggs for human consumption. 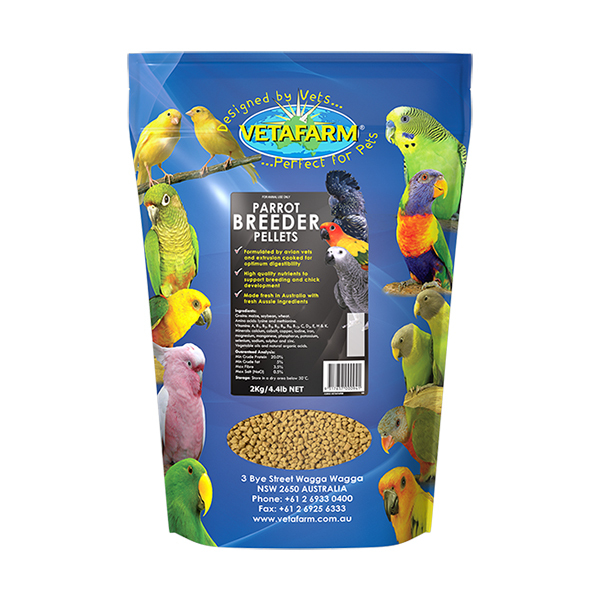 Extruded pellet diet specifically designed to meet the particular needs of breeding birds and their young. 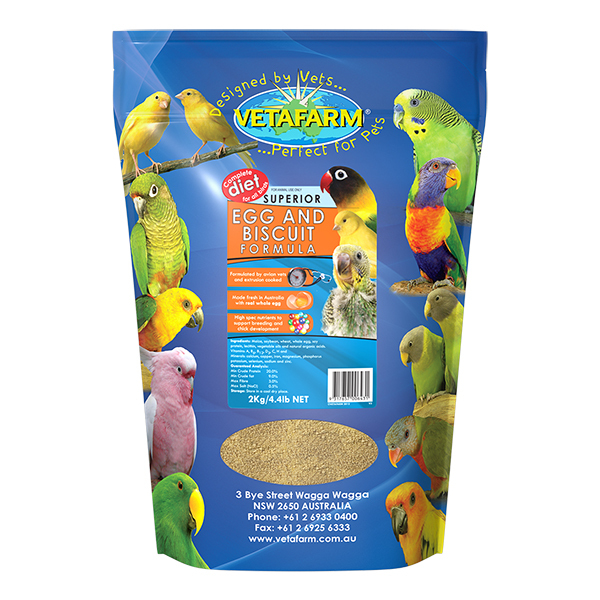 Superior Egg & Biscuit Formula is a completely balanced diet suitable for all birds including budgerigars, canaries and parrots. 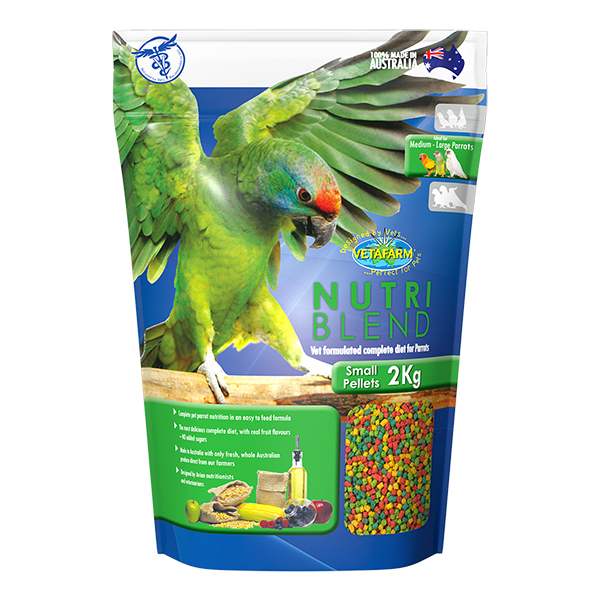 Completely balanced, multi-coloured extruded pellet diet designed to meet the particular dietary needs of most parrots. Available in three different sizes, catering for small to large parrot species.